We continue our new #FollowFriday series of highlighting great examples of advertising, marketing, or other types of strategic communications. Today we highlight our friends at MasterTech. What do you care about? Yes, the Cardinals run at the playoffs and the hurting MU will level against UCF tomorrow are at the top of the list. But think harder. What do you CARE about? For us, it’s hungry kids in Guatemala, Rotary, and advancing Michael’s dream of being a real life cowboy. 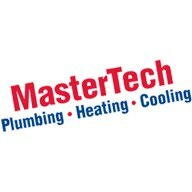 Our friends at MasterTech Plumbing, Heating, & Cooling care too. MasterTech Answers The Call is a great example of a local company stepping up to meet the needs of worthy causes. This is what we call “cause marketing”; doing something good in the community while drawing attention to yourself. What’s really great about this is that this effort puts the charities it is trying to support at the forefront at every turn. It’s never about MasterTech. It’s always about the charities. Kudos to MasterTech for helping out great organizations around our community.